Leinster have announced that fly-half Ian McKinley will retire from the game with immediate effect. The 21-year-old has played for the Heineken Cup champions six times but has been forced to hang up his boots following the loss of sight in his left eye. He suffered the injury in January 2010 but played for the province four times in the 2010-11 season including a man-of-the-match display against Treviso in February. McKinley made his Celtic League debut against the Dragons in May 2009. And while McKinley was obviously upset with having to retire, he is looking forward to the challenges the next stage of his career present. "After the accident happened I was advised that a cataract would develop, but the surgeon was surprised that it did not happen until 18 months after the initial incident," McKinley said. "I was determined to overcome the temporary loss of sight and get back playing rugby so I was thrilled to return to training in July 2010, six months after the accident. "It was such a great source of relief to get the chance to pull on the Leinster jersey again. In May, though, I played a game for the Leinster development side and I had to stop after 15 minutes because of blurred vision. I then sustained a detached retina a week before pre-season and three operations over this summer couldn't save my sight in that eye. "While I am very upset by this turn of events, now it's about planning the next stage in my life. At this point I like the idea of maybe pursuing a career in coaching. I'm trying to stay positive because there are bigger issues in life that people face everyday and everyone has been so incredibly supportive." 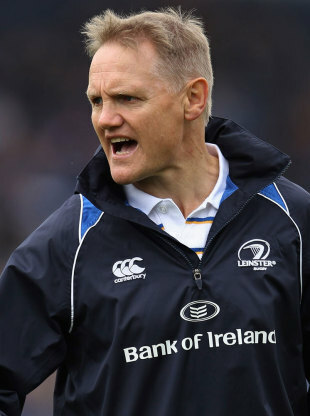 Leinster boss Joe Schmidt paid tribute to the former Ireland U20 international saying: "It is always a sad time whenever a player has to call time on his career, but it is especially difficult when a player with as bright a future in the game as Ian has to make the decision so prematurely. "The courage and determination that Ian displayed in firstly coming back from the loss of sight and then to force his way back into the team is indicative of both his strength of character and his playing ability. His dedication to recover from the initial accident was an inspiration to his team-mates and he was, and remains, a popular member of the squad. "I know that Ian will be successful in whatever he decides to do over the next few years and I would like to thank him for his significant contribution to the success of the province over the course of his career."